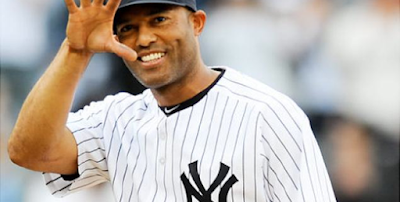 Mariano Rivera had been there before—countless times. That year alone, more than 50 times, he had entered the ninth inning with a lead of three runs or less and shut down the opposition. And when Rivera stared down home plate at Bank One Ballpark in Game 7 of the 2001 World Series, no one, not even the most diehard of Arizona fans, expected anything different. With a 2-1 lead, it seemed fitting that the Yankees were about to clinch yet another MLB title—especially considering the emotionally wrenching seven weeks New York City and the rest of the nation had endured. 9/11 was still on everyone’s mind and took center stage again when President George W. Bush famously threw out the first pitch back in Yankee Stadium for Game 3 of the series. But then, things took an unexpected turn. Mark Grace led off with a single. Then Rivera inexplicably threw a bunted ball into centerfield while attempting to get the out at second base. Two batters later (with one out on the board), Tony Womack hit a game-tying double. Rivera had officially blown one of the biggest save opportunities. As Luis Gonzalez walked to the plate with a pinch runner Jay Bell in scoring position, “Phil. 4:13,” a reference to a New Testament passage Rivera often recalled, could be found written on his glove and his cleats. Rivera hurled his trademark cutter that had caused so many batters to swing and whiff. Only this time, Gonzalez connected on a broken bat single up the middle—just out of the reach of second baseman Derek Jeter’s glove. It was a difficult flight back to New York. Not only was Rivera distraught following the loss, he was also notoriously afraid of flying. He later revealed that it was two things within arm’s reach that consoled him on that long trip home—his wife Clara and his Bible. Rivera went on to complete his career in 2013 as the all-time saves leader with an astounding 652. He will undoubtedly be gracing the Baseball Hall of Fame soon enough. But his ability to deal with triumph and trial, winning and losing, can be found in his understanding of the lesser known verse that precedes Philippians 4:13—a verse that was written by the Apostle Paul while under house arrest. While not always an easy verse to live out, Rivera certainly benefited throughout his career (and in particular during Game 7 of the 2001 World Series) thanks to Paul’s grounded words of wisdom. Dear Lord, we thank You that we can lean on You in the good times and bad times. We thank You for the strength that You give us. Help us to never try to do it on our own. In the Name of Jesus, Amen.